American Skull T-Shirt | BUDK.com - Knives & Swords At The Lowest Prices! 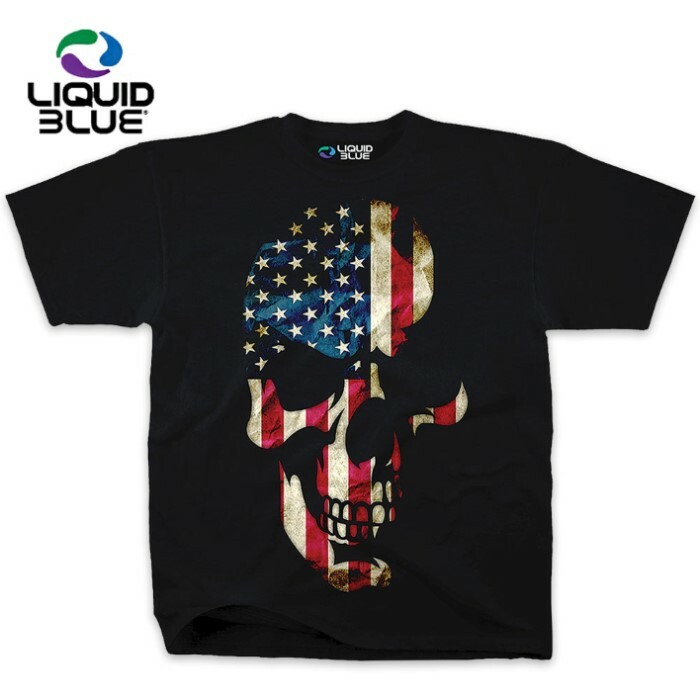 The American Skull T-Shirt is an official Liquid Blue fantasy graphic tee that features a vivid design that jumps out at you immediately! The leering skull in red, white and blue just leaps off of the black background of the 100% heavyweight cotton shirt. For comfort and durability, it has a two-needle stitched neck and taped shoulders. This t-shirt was designed, dyed and printed in the USA. It comes in LRG, 1XL and 2XL. I got one of these as a Christmas Gift for my Brother and it Looks Great! Top Shelf Quality for the Price! Thanks Bud K! I just received two of these tee shirts and I'm very happy with the quality. I definitely recommend these.